Along the way, we heard what many of you had to say. There were some surprising choices (Liang Po Po the Movie??!! ), but also many heartwarming ones, and it was good to know that old classics like The Teenage Textbook Movie still held a special place in someone’s heart. When it comes to Singapore films, it seems, underdogs held their own as much as box office hits. Some decried the omission of short films in this survey, but we wanted it to be focused on Singapore feature films. If we included short films in the list, we could be scrolling for days... Others voiced their concern that they haven't watched Ilo Ilo (2013) and even withheld their votes in protest. 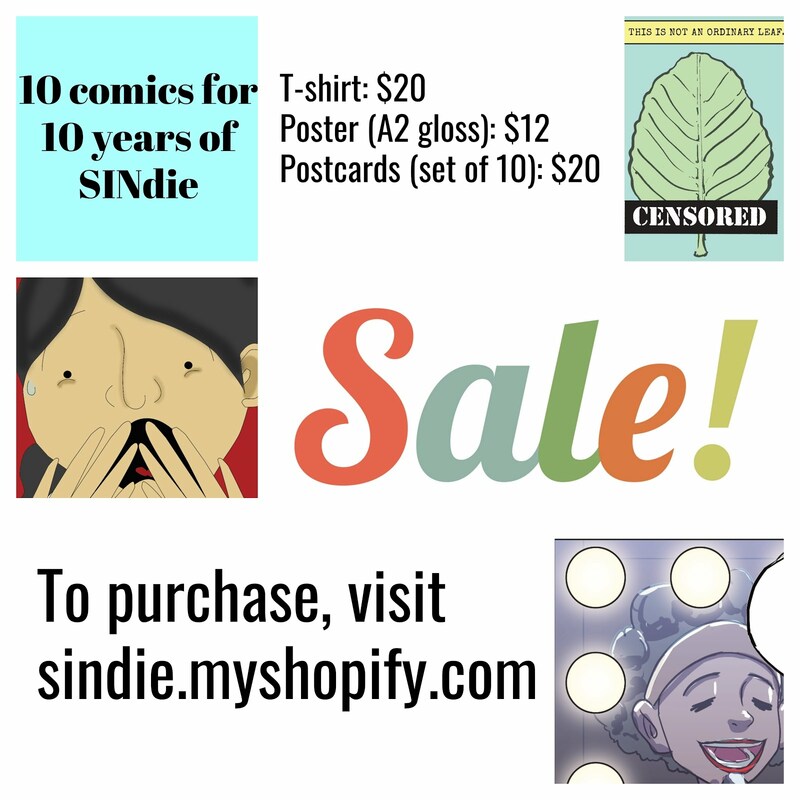 As such, SINdie is EXTENDING the deadline for this survey! Haven't cast your vote? Do so soon! While you stay tuned for the final results, SINdie is pleased to announce the INTERIM RESULTS of the Nationwide Survey. Singapore, you had your say (for now). As a gesture of our gratitude for your participation in this survey, we have included some of your comments on your favourite films below, in the hopes that we can encourage more of you to explore other lesser-known Singapore films (such as Lucky 7 and The Blue Mansion), and aside to the fellow who proclaimed that Ah Boys to Men: Part One is the only Singapore movie he has seen, please go watch some more Singapore films! 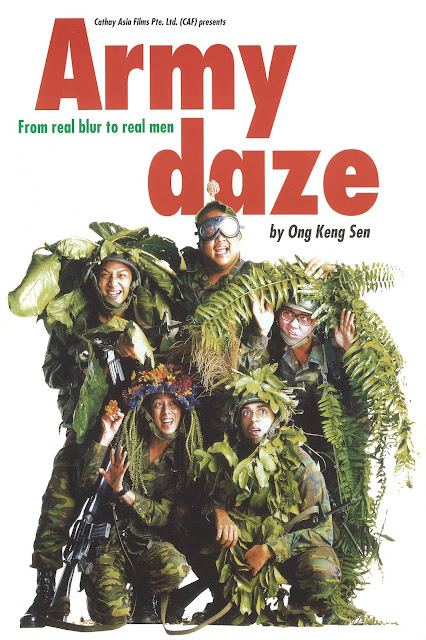 I don't watch many local films to begin with, but out of the few that I did watch, Army Daze remains my favourite, and will always remain the defining film about National Service for me. Why I love it - its a film about the different ethnicities and cultures in Singapore, it has such great dialogue and it explores the theme of National Service in an unpretentious, humourous way. Hi. I picked Army Daze maybe it is due to the nostalgia associated to me at that time. I was in Primary School, and to see a local movie in the big screens was an "awe" to me. I did catch teenage textbook few years later, and forever fever before Daze but there was something about showing a multi racial context rather than a subculture, such as royston's Tan "15", that connected with me. By all means in that list, there are easily 10 films whose cinematography and storyline far exceeds one of Daze, but maybe it's just me. cheers n respect to all local filmakers! Nothing says multi-racial society than the National Service. And adapted from Michael Chang's awesome Army Daze play. A brilliant comedy that is unrivalled. Doesn't have to be the most artistic, powerful, or highest production value film. It is memorable and I loved it even till now. Because it was a very real story shot very nicely without being too arthouse! And not trying too hard! kungfu motorcycle love story chronicling the pains of growing up in singapore, this movie is reminiscent of an adolescence wasted on trying to find meaning while stuck in a miasma with nowhere to run and nowhere to hide. what's not to like? This was a tough choice cos there were a number of great films listed. But I chose "Be with me" because it was beautifully shot and dealt with human emotions through three compelling stories. It's a great example of a good adaptation. The dialogue is still funny and relevant! An ambitious movie musical with a rollicking Hokkien soundtrack, strong portrayals and lavish cinematography that hits both high-brow and commercial notes. Plus, killer theme song "One Person One Half". No political influences and propaganda, a reflection of what Singapore culture is through the eyes of a sensitive film maker. I guess it was the subject topic and the fact that it showcased the darker side of our country - one that is unexpected to outsiders and most Singaporeans. I also liked the sports/football-themed movies because it's a topic close to my heart. But since I could only choose 1, I opt to click 15. Captures the disaffection of our youths in the gaudiest, most exhilarating way possible. How many movies can tell a story with so little dialogue without seeming contrived or tedious? 4:30 is so beautifully written and executed, and reading interviews with Royston Tan about how he coaxed such nuanced acting from his actors only adds to my appreciation for this fantastic work. A rare film that captured a colorful past, ahead of it's time! It's funny yet heartwarming, and relevant to Singaporeans and Malaysians. Though many may dismiss it as a sell-out film rife with product placement, the film paves the way for many things in Singapore film: military themes, war scenes, as well as transcending boundaries of age, race and creed. ABTM appeals to a wide Singaporean audience (admitted at the cost of potentially alienating an international crowd), and well, commercial success for a local film is always good. This movie remind me of my NS time when all of us suffer together, work together and sleep together. It just like refreshing your memories of the past during your NS time, and also Jack Neo is my idol so I will support his movie all the way. Perhaps the only Singapore made Malay feature film (fiction) theatrical released between 1991 to 2013. Salawati is the best. My friend Jeremy Sing agrees. 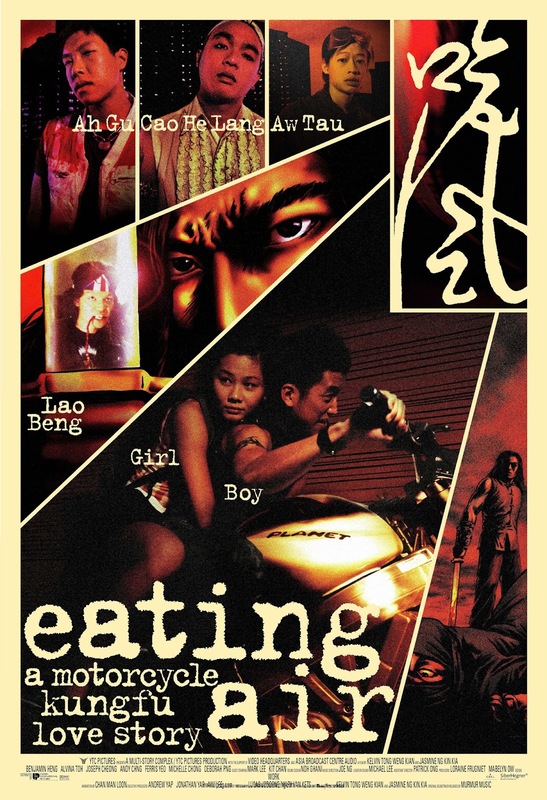 One of the first few made-in-Singapore films directed by a Singaporean director addressing issues faced by Singaporean in a very local setting. I think Eric Khoo's films set a trigger in encouraging local film makers to make films about Singapore and Singaporeans for the international audience. It is filled with sexual and political innuendoes. Truthful, raw, direct film about the particular anguish of being Singaporean, in spite of its apparent artifice. Head and shoulders above everything else. A film that is not pretentious, exploitative, preachy, overly dramatic or over intellectualized. An honest story that can strike a chord with the masses. Simple, accessible but yet intelligent. I must say that I enter this survey armed with only little knowledge of local cinema. I've watched possibly 15-20 films you've put up for selection here. That said, Singapore Dreaming is one of them and I feel is (relatively) rather well shot: cinematography is pleasant and successfully evokes the melancholic, rueful tone adequately supporting its narrative. Narrative itself is slightly dreary, the slice-of-life genre being over-milked by many a local director, but I suppose it's the first of its kind to specifically tackle the issues it addresses. I wish you put out this survey at a later time - I'd love to be able to actually watch Ilo Ilo and offer a take on it, it might turn out to be a favourite! Intelligent, heartfelt and perceptive, without pandering to its audience. It is simple yet captures the essence of how lovable the elderly can be. And it does not only just appeal to one generation but all. It helps me connect with the rest of my family and see the funny sides to everyday scenarios. It was so aesthetically appealing and the subtle hints of Singaporean culture within the plot and set really did it for me. I loved the plot, and it could have come off cheesy so easily but the direction was done really well. The Blue Mansion was entitled "The Funeral Party" during production period. As the working title mentioned, the whole movie was about a big party going on during someone's funeral. In one particular scene where a few Taoist monks appeared after a pastor closed his Bible then one of the deceased family members mentioned they should had called upon an Imam as well made me wonder how on earth one family doesn't know the religion belief of another family member. To me, funeral is part and parcel of life and this movie carried a lot of implicit meaning and thoughts for audiences to think about. Good storyline, art direction, cinematography and acting. I watched it without knowing who is Glen Goei and didn't believe that The Blue Mansion is a local film until I researched about it after watching the film. It made me cry throughout the whole movie. I watched it when I was 15 and I could relate to the pains of the students. It was quirky and well developed. Such an enjoyable piece! Well balanced. Good story that appeals to mainstream and 'arthouse' audience. High production value in terms of finishing (delivery quality of visuals and sound). Pin Pin's work very presciently anticipated the wave of nostalgia and yearning for things distinctively Singaporean that has swept the nation over the last 4 years or so. Gaga is a great example of that, and is especially memorable because of its focus on the aural, as opposed to the visual - to the landscapes of sound that make up our memories. It tackles a topic that I haven't seen covered in other local films - the history of political activism in Singapore. It handles it gracefully, choosing to focus on the narrative of a teenage boy and his search for his father. I like that the experiences of the protagonist are never belittled and are nuanced - he undergoes teenage angst, lust, and confusion, but he isn't painted as a walking stereotype. I love the visuals of the film too, and the 90s setting. Fun & funny. Can't remember why we watched it, but was worth it. Because it was a crazy cool funky experiment bringing together some of the most interesting directors in Singapore! It is the most unique and experimental feature length omnibus coming from our little Red Dot. Also the film showcased the most number of SG filmmakers - all 7 of them - each offering a very different take on filmmaking. 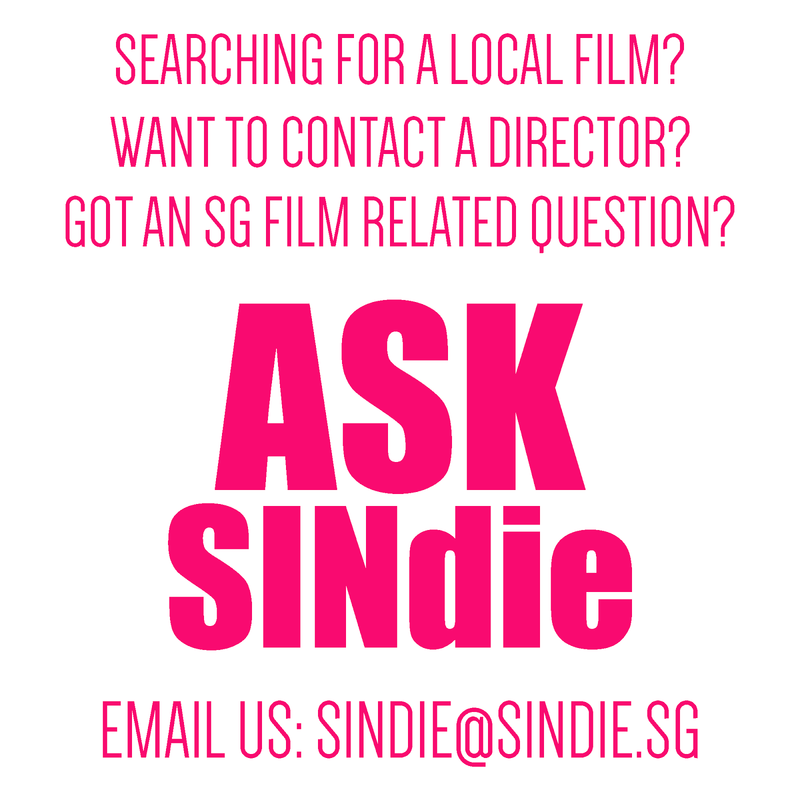 You can sample a very diverse selection of Singapore filmmaking talents just watching Lucky 7 alone. In the Singaporean context of things and given the pool of films that we have to date, S11 certainly comes across as a highly original film with its unique characters and dialogues. It's possible that you'll never see a local film like this again. Still, one cannot help but to draw comparisons between it and the Tarantino hit, Pulp Fiction due to the non-linear story-telling that is highly central to the film itself. Sadly, the exposure that this film has garnered is nothing compared to the likes of films directed by Jack Neo and Eric Khoo. Thus, it'll be nowhere near to being placed at the top of the list of favorites in this survey. Nonetheless, it still has my vote. First and foremost, I've not seen all the films yet and would really love to pick some I haven't seen, such as those I heard and think are really good from the raving reviews and media opinions on them. So that narrows my choices down to a handful. But honestly, Singapore feature films rely on comedy to get the box office numbers and don't really have quality, though ironically it's the public that want the comedic entertainment. That being said, I choose Imperfect being my favourite film because it is the most relatable to me as a teenager and it is distinct from the other feature films. It also has decent cinematography and employs a great use of music to complement the tone. While the "independent" and good feature films (that again, I've not seen) are said to be artistic, Imperfect dramatizes its chain of events very well. It does not dramatize for the sake of comedy, but instead paces the plot well enough for character development too. I hope my opinion on this helps. Thank you. A HAPPY NATIONAL DAY TO EVERYONE!! !